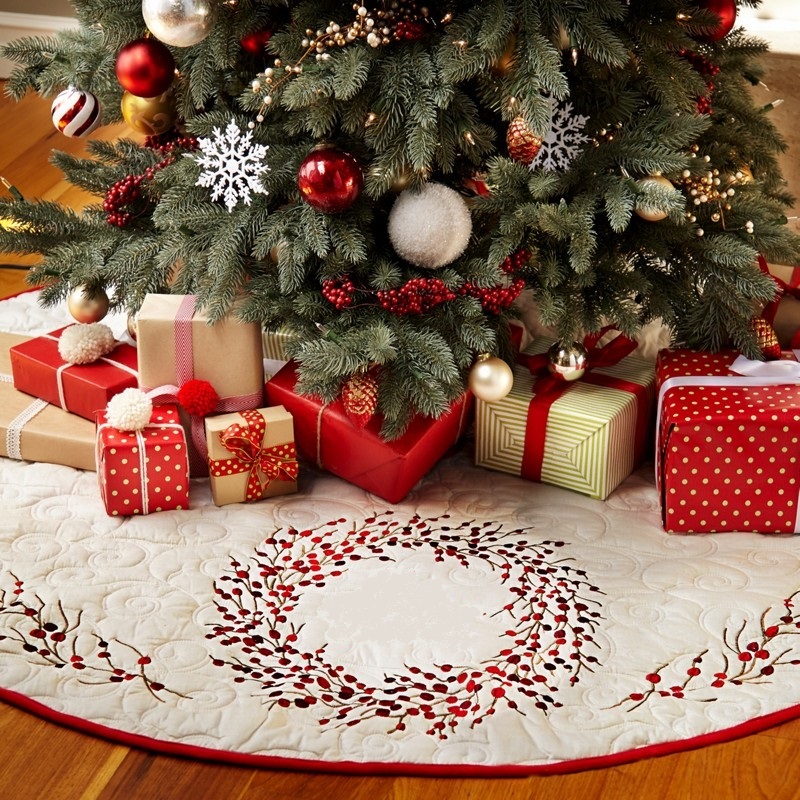 Capture the Christmas spirit with this beautifully designed tree skirt. Intricate embroidered red berries on twigs meet to a centered wreath -- a perfect place to personalize a family name or leave blank (personalization not available). 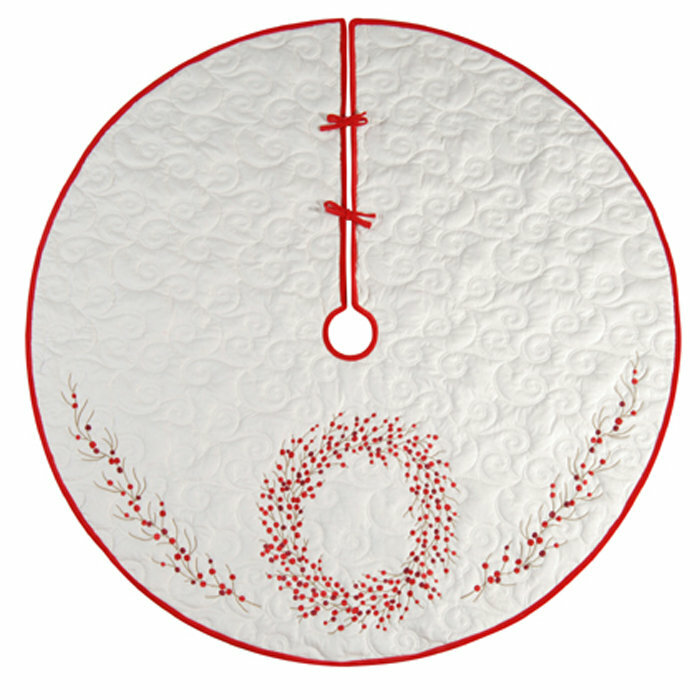 The off-white background has swirled stitching that resembles blowing snow, trimmed in a red border, and has fabric ties to keep the skirt in place. The perfect accent to protect your floor from pine needles and at the same time add a beautiful accent to your home. Reverses to a solid red.